The two-seat EN-V 2.0 has an electric range of approximately 40 km and a top speed of 30 kph. 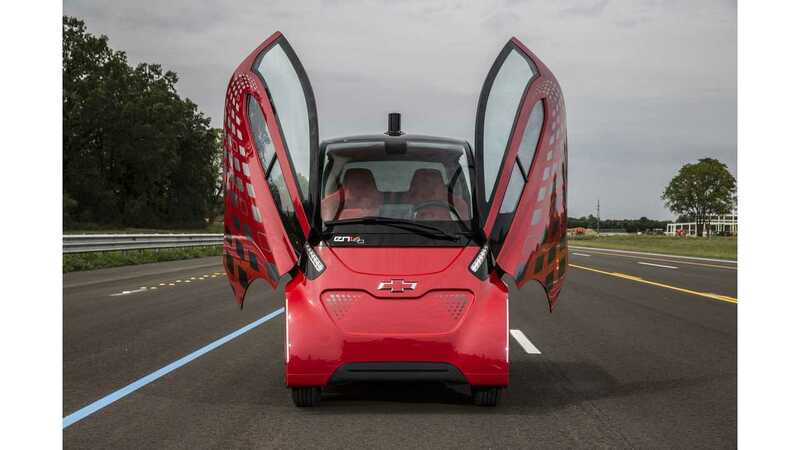 General Motors finds occupation for its EN-V 2.0 electric concept vehicles. 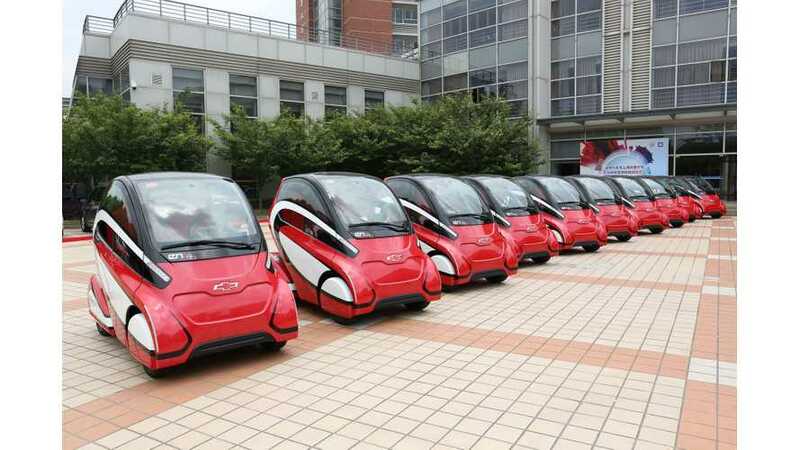 16 of them are now used in a two-year pilot car vehicle sharing program at Shanghai Jiao Tong University. 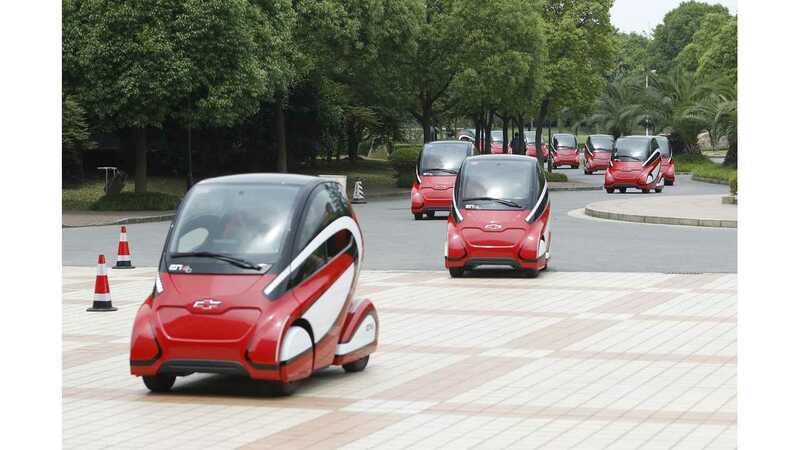 "The EN-V 2.0 pilot vehicles will be integrated into the multi-modal transportation system at SJTU’s Minhang campus alongside bicycles, cars and shuttle buses. They will help meet users’ “first mile, last mile” transportation needs." "Eligible drivers selected from among qualified faculty members and graduate students at SJTU will prepay a set membership fee to offset the cost of using the EN-V 2.0s. This will support a simple and seamless locating, renting and driving experience. GM engineers and SJTU staff and students will work together to collect and analyze data from the vehicles’ operation and users’ input, and share learnings on usage patterns and vehicle requirements." 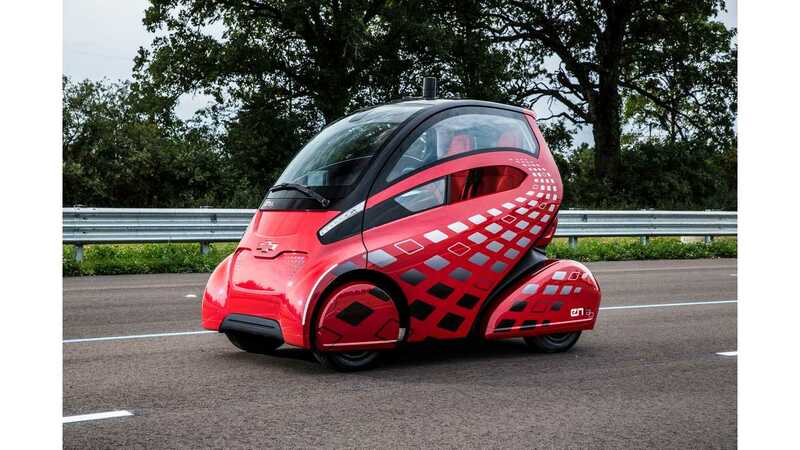 The EN-V 2.0 is a two-seater, capable of 18.6 mph (30 km/h ) and 25 miles (40 km) of range.